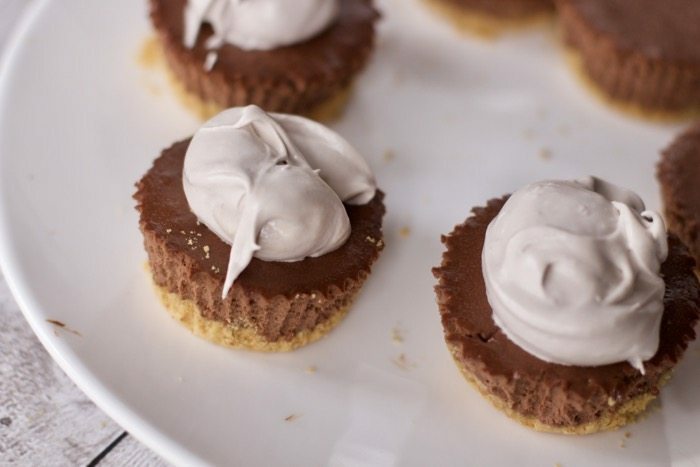 Mini cheesecakes are a great way to serve dessert to a crowd with very little effort. Each muffin sized cheesecake can be flavored differently to provide a variety of flavors to tempt your guests’ taste buds. With this simple recipe and the use of a flavored coffee creamer, the flavors are endless. How about serving up some of your favorite candy bar flavors? 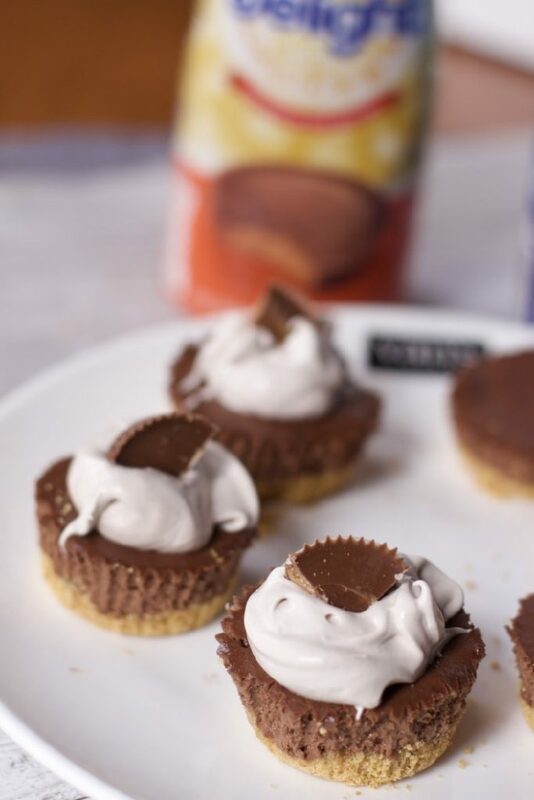 With the help of the amazing International Delight® HERSHEY’S® Chocolate Caramel, International Delight® REESE’S® Peanut Butter Cup, and International Delight® Almond Joy™ coffee creamers from Walmart, this is a no effort dessert recipe. 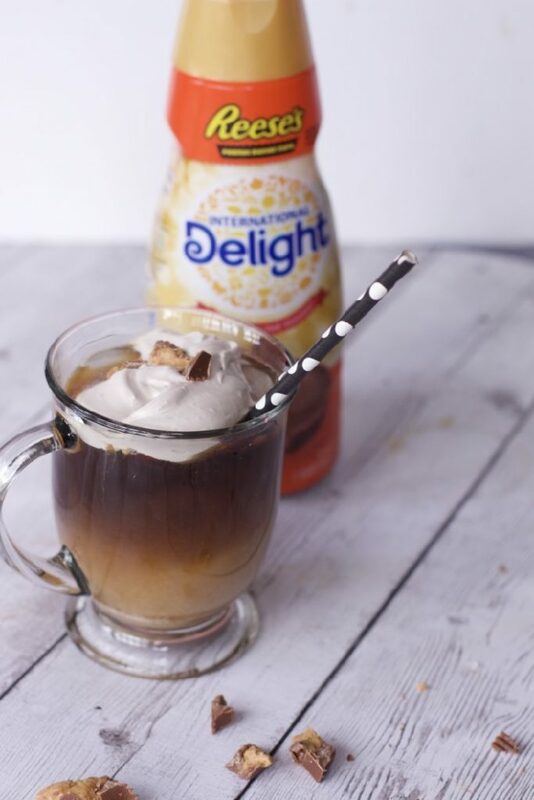 Did you know it’s easy it is to enjoy these delicious flavors by simply adding to their daily cup of coffee, as well as showcasing one of the flavors as an ingredient in your favorite recipe? For today’s recipe, we used two different flavors of coffee creamer and just separated the batter before adding the final ingredient. We used regular graham cracker crumbs for both cheesecakes but you can use peanut butter cookies for the REESE’S® cheesecakes or mix some almonds into the Almond Joy™ ones. Before adding the flavored coffee creamer to the recipe, be sure to separate the batter in half if you want a variety of flavors. As if the cheesecakes would not be amazing on their own, we decided to add even more burst to your mouth. Flavored whipped topping using more of the creamer. We opted for using powdered whipped topping instead of whipping cream but you can experiment with that as well. Simply replace the milk with the International Delight® creamer and mix until peaks form. Make as many whipped toppings as flavors of cheesecakes. Top them with a little cut up candy to let your guests know what flavor they are picking. So which of these mini cheesecakes would you like to try first? Is there a REESE’S® Peanut Butter Cup in your mug? There should be. Make this amazing peanut butter chocolate iced coffee with some of the extra REESE’S® whipped topping. 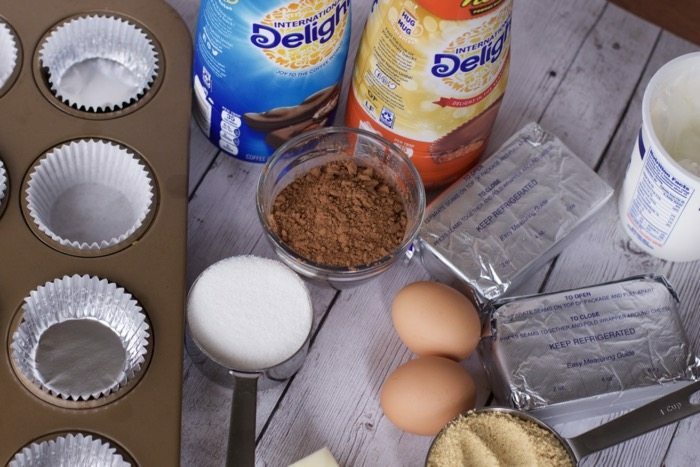 Preheat oven to 325°F Add 12 cupcake liners to a cupcake pan. Combine the graham cracker crumbs and melted butter. Divide the mixture between the cupcake liners and press into the bottoms. Bake crusts for 5 minutes then remove from oven. Sit out while you make the topping. 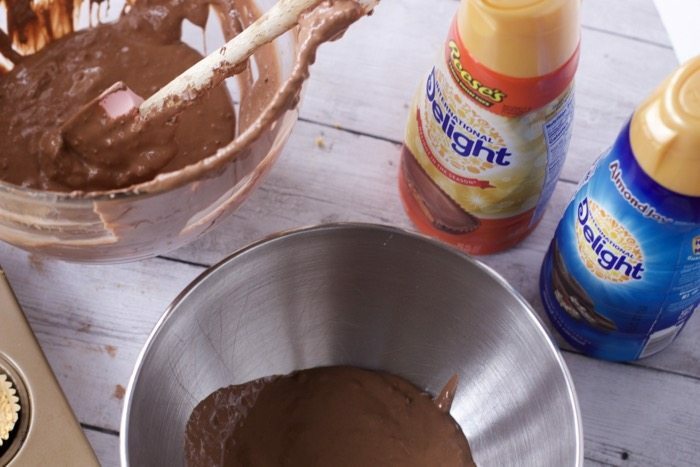 In a large bowl, mix the cream cheese, sugar, and cocoa until combined. Scrape down the sides of the bowl. Add the sour cream, vanilla extract and flavored Creamer*** Beat on low speed until well combined. Bake cheesecakes for 12 minutes, then turn off oven and leave the door closed for another 5 minutes. Dollop the whipped cream on top of the cheesecakes, then drizzle with chocolate sauce and/or chopped up candy bars. 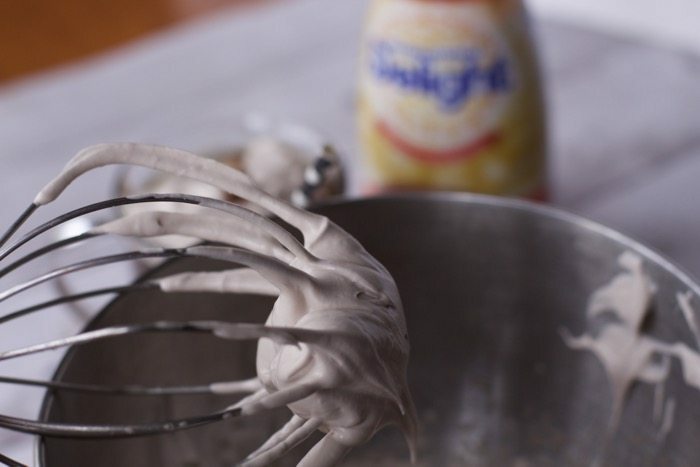 ** If you plan on dividing the flavors add the eggs before the creamer then split the batter into two bowls and add 1/2 of the required amount of creamer to each bowl and stir until incorporated. Make two packages of whipped topping adding one flavor to each packet. 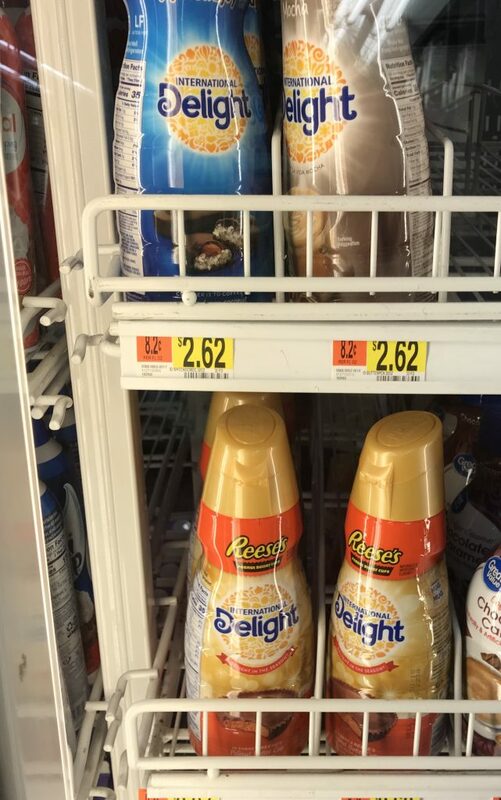 Be on the lookout for these creamers at Walmart in the dairy section where you may also find an in-store display that includes a tearpad with a recipe and $0.50 coupon valid in April. Be sure to pin this when you need a dessert to feed a crowd. 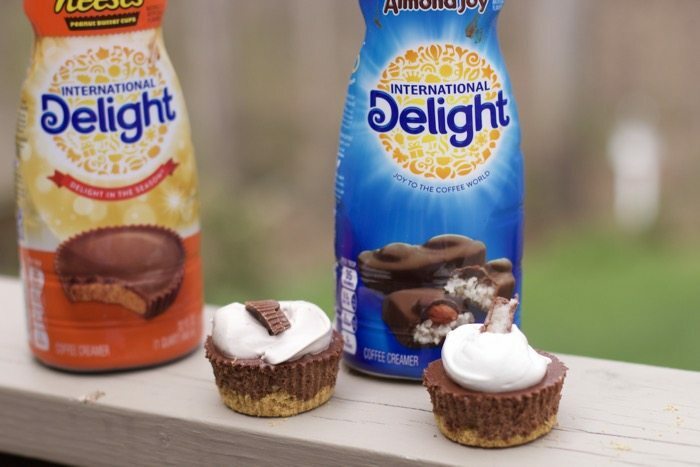 Visit International Delight’s Pinterest page to find recipe inspiration for delicious, seasonal treats. Reese’s is my favorite candy bar! Those mini cheesecakes are basically my dream come true and I could easily devour an entire batch on my own. Coffee and candy–my two favorite things! The cheesecakes look fantastic as does the iced coffee. Love that you can use creamer for so many things. I’m convinced everything is tastier when it’s tiny! Maybe it’s because all of the flavor is packed into one bite. Can’t wait to try these cheesecakes. Reese’s are my favorite and this looks amazing. Actually, it looks like something I’d have a hard time eating just a few. Oh these look delicious. I am hosting book club this month these would be a perfect dessert for the ladies. 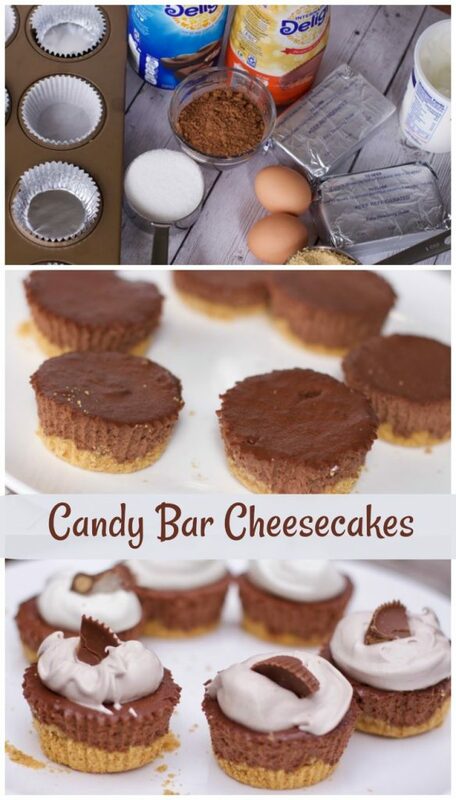 Wow…candy bars & cheesecake all in one. Sounds great. Also perfect that they are mini so as not to eat too many. Oh I could so eat loads of those. Looks like a great way to use up leftover chocolate too. 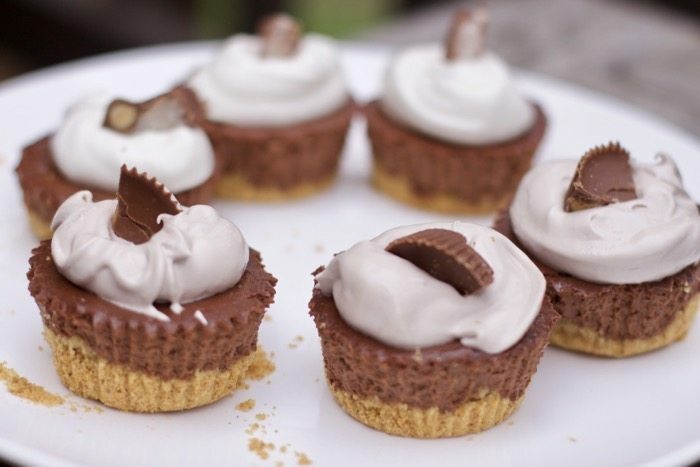 mmm these Candy Bar Mini Cheesecakes are so cute! I want to eat it for breakfast, lunch and dinner. They are really impressive. This will be one of my favorites. I definitely want to try this, and I’m sure it’s very tasty. Thank you for sharing this great recipe. 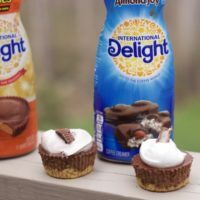 I love the idea of using the International Delight flavors in recipes. Mini cheesecakes are my favorite because I can indulge while still controlling my portions.